Es una buena opción para conocer la ciudad en corto tiempo, pero si tuviese que escoger nuevamente, preferiría alguna excursión directa a algú sitio de interés definido ya que, en forma general no hay mucho que ver durante el circuito del autobus. La mayor parte del tiempo se pasa atrapado en tráfico y el sistema de audio permance con música sin aprovechar este tiempo para narrar temas de interés de la ciudad. Expensive for the one stop day at Knossis. Sharing a cab with someone off the ship would be better. We bought our tickets for this HoHo before we left home but it was very disorganized at the port pickup! Very little commentary as there was not that much to see. If I go to Heraklion again I will just stay in the town surrounding the old port. Easy to catch, the audio was excellent explaining what the site was and provided historical info too. Fun 60 minute ride that allows you to see the main points of interest. You can get off at stops and check out the area. W rode the route once to get a lay of the land and used the second time to get off at sites that we wanted to see more closely. Well done. 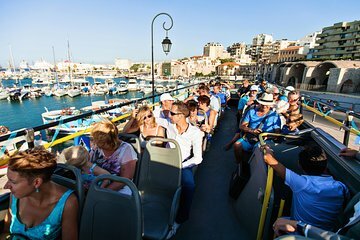 Not enough to see in Heraklion to justify a hop-on hop-off bus tour. 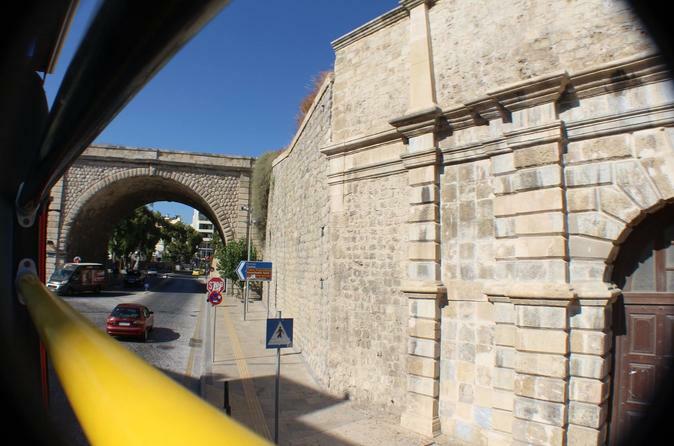 A great bus tour and we were able to see some beautiful views of Heraklion, which is an absolutely amazing part of Crete. You can literally get on and off the bus as many times as you want and the information system that tells you about the certain destination was very educational as well. This was not a good experience. Not all the speakers in the bus worked. This was a good choice. It allowed for keeping at our own pace. We mostly stayed on the bus but we were able to see most things from there.